Mark Hamade acts as an advisor and investor as part of Milken Community School students’ Shark Tank project, an intense entrepreneurial training where students must compete to design a product, present to a board of advisors and, for the winning team, obtain real investors. The CalTech FLoW 2.0 program is for student entrepreneurs with projects that exemplify conscious capitalism, in other words, their projects make a positive contribution to the environment and are potentially profitable. FLoW 2.0 strategically pairs students with mentors who guide them through the usual challenges that entrepreneurs face, as well as advise them as to the risks unique to their specific enterprise. These mentors coach teams through business model development and business plan and presentation preparation, provide feedback on all aspects of the business, make connections to key resources, liaise with specialist mentors to provide a cohesive program of support for the teams, and help the team develop a product concept and identify their market. 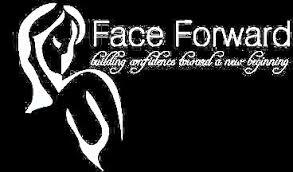 The mission of Face Forward is to provide Pro Bono reconstructive surgery to women, children and men who have been victims of Domestic Violence or Cruel Acts of Crime.